I feel like I’ve just played a game of Cluedo while experiencing some form of mind-altering substance*. There’s some weird stuff going on in this book and I loved it! 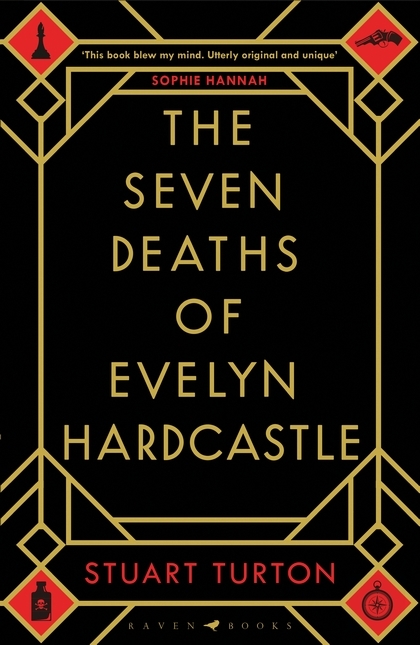 Author Stuart Turton describes The Seven Deaths of Evelyn Hardcastle** as a “time-travel, body-hopping, murder mystery novel”. It has been likened to Agatha Christie meets Gosford Park meets Inception meets Black Mirror meets Groundhog Day. What a combination! This is a refreshingly original murder mystery with a clever and intricate plot. I had no idea what was going to happen from one page to the next and it kept me guessing to the end. Concentration is required to keep up with the time changes and body-shifting, and it’s helpful if you can read it in large chunks. 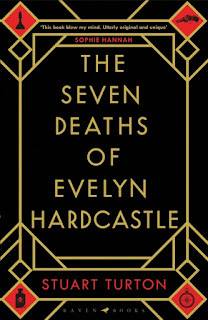 Have you read The Seven Deaths of Evelyn Hardcastle? I’d love to know what you think. Happy reading! *Disclaimer: I have never played Cluedo in the presence of a mind-altering substance. But if I did, I imagine the experience would be similar to reading this book. **Interesting side note: In the US, this book has been released with the title The 7.5 Deaths of Evelyn Hardcastle. The additional 0.5 is to avoid confusion with a similarly named (but completely different) book released last year, The Seven Husbands of Evelyn Hugo. An odd coincidence!